Everything one reads nowadays speaks of 2016 as being a year of great tensions, an election year like no other (in contemporary terms), and a time when anger moved beyond simmering to boiling. The Holiday season amplifies the losses, makes the pain stand out, and forces one to contemplate our existence. Happily, we have music, music that transports us beyond the everyday, tamping down hurt and allowing one to breathe ((if only for the time the songs are playing). Yes, some music can build barriers, construct walls that shut certain age groups and ethnicities out but those albums are not up for review this week. 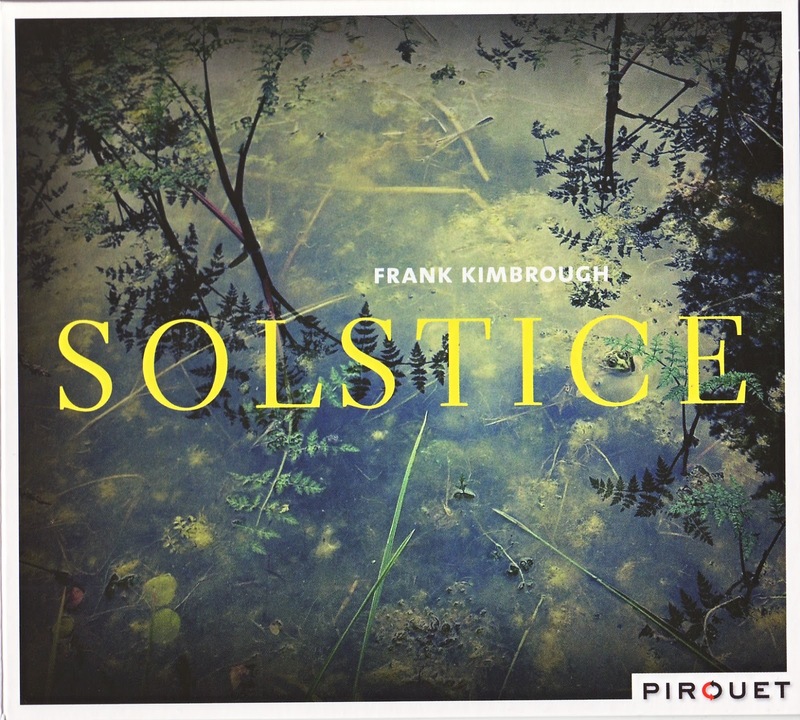 "Solstice" is the new recording by pianist and composer Frank Kimbrough, his first for the German-based Pirouet Records. 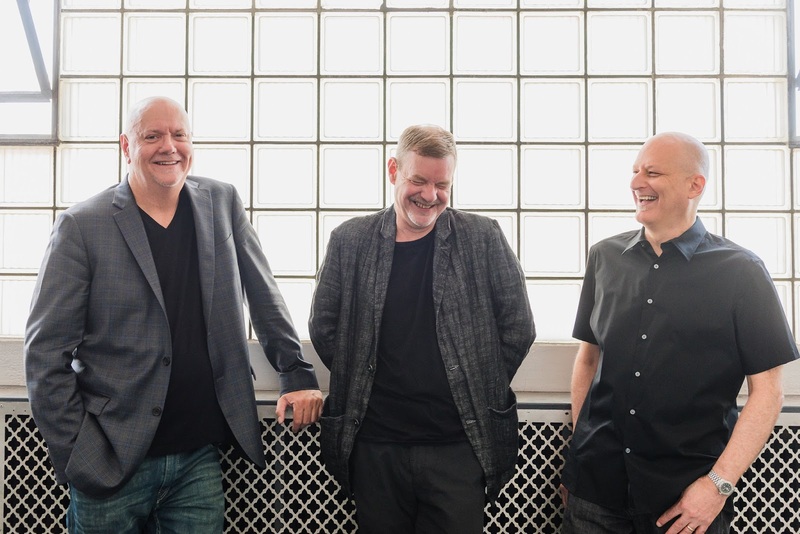 The nine tracks features the sparkling rhythm section of bassist Jay Anderson and drummer Jeff Hirschfield, both of whom have played with the pianist on numerous occasions over the past two decades (even more in the case of the bassist). The trio interprets nine songs by seven different composers (plus one original), many of whom had great impact on Kimbrough's life personally and professionally. The title track comes from the pen of Maryanne de Prophetis, the pianist's life partner. It's a lovely melody that the trio moves through quietly, gently caressing the melody so that all the emotion finds its way into the performance. 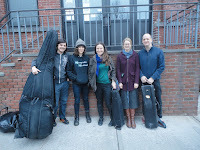 Along the way, the trio explores music by Paul Motian ("The Sunflower"), George Gershwin ("Here Comes The Honey Man"), Andrew Hill ("From California With Love"), Carla Bley ("Seven"), Maria Schneider ("Walking by Flashlight"), and two by Annette Peacock ("Albert's Love Theme" and "El Cordobes"). The presence of the songs by Ms. Bley and Ms. Peacock not only point to their excellence as composers but also the influence of the late Paul Bley (who had been married to both) on Kimbrough. Both Anderson and Hirschfield solo on the Motian song, a piece that flows rather than swings, showing the influence of Keith Jarrett on the composer's writing (although one could argue that they influenced each other). The pianist writes that it was a live reading of "....Honey Man" by pianist Shirley Horn that inspired his version. The drummer sets up a steady pace on the cymbals and snare drum while Kimbrough and Anderson create a conversation that moves in and around each other's phrases. The original track, "Question's the Answer", has a bluesy feel but, like it's title suggest, the musicians are on a "quest", not so much searching for perfection as it is the trio enjoying the journey (over and over). The program closes with Ms. Schneider's "Walking by Flashlight", a piece from a suite she composed for Dawn Upshaw from the poems of Ted Kooser. The musicians capture the delight and wonder of a walk on a chilly Midwest morning, the soft brush work resembling the footsteps in freshly fallen snow, the bassist's phrases conjuring the starlight softly fading and the piano expressing the thoughts of the walker as if he was seeing this natural scene for the first time. 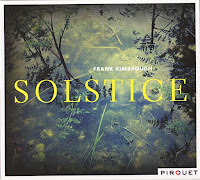 Sit down with "Solstice", allow the sounds free rein in your mind, and you just might enjoy the contentment that comes from listening to three musicians explore their own curiosity. 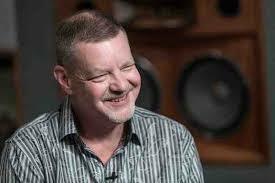 The music created by Frank Kimbrough, along with Jay Anderson and Jeff Hirschfield, might not change the outside world but offers an oasis in a what might feel like a wasteland. For more information, go to home.earthlink.net/~fkimbrough/. 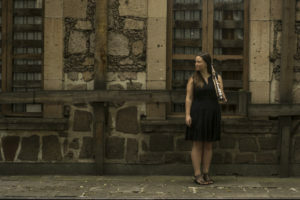 Soprano saxophonist and composer Jasmine Lovell-Smith, originally from New Zealand, first came to critical notice when her debut American album "Fortune Songs" (Paintbox Records), was issued in the summer of 2012. She was just a few weeks away from moving to Middletown CT from New York City where she would get her Master's Degree from Wesleyan University, studying with Anthony Braxton and Neely Bruce (among others). After graduation, Ms. Lovell-Smith moved to Mexico with her now husband Christohper Ramos Flores. 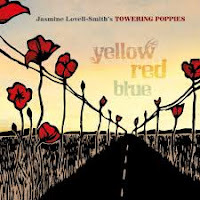 While there, she worked on her music and did some performing - the results are "Yellow Red Blue" (Paintbox Records), seven original composition and a splendid reading of Joni Mitchell's "I Had a King", performed by her group Towering Poppies. 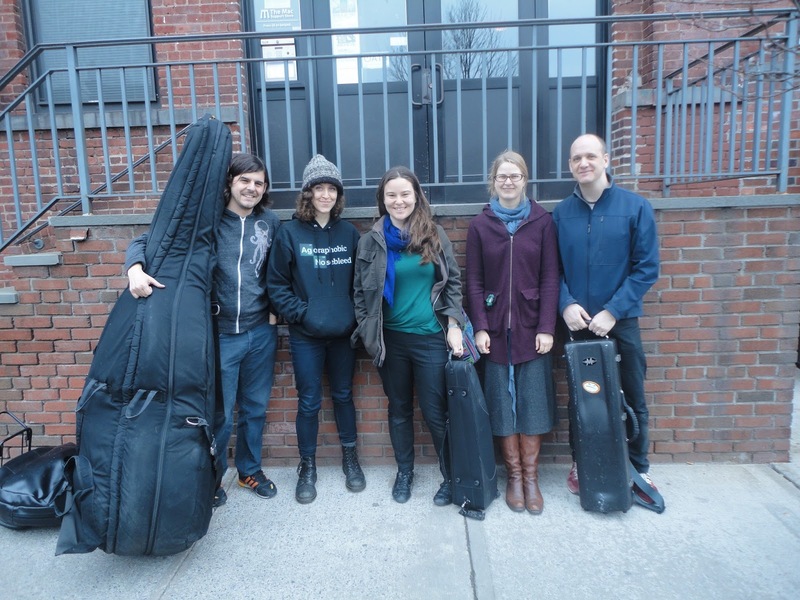 The Quintet features pianist Cat Toren and drummer Kate Gentile, both back from the earlier recording, plus bassist Adam Hopkins and bass clarinetist Josh Sinton. The blend of the two reed instruments along with the poetic work of the pianist and the sympathetic rhythm section is a joy to hear from the opening seconds of the opening track, "The Pillow Book." Notice the push of the bass and drums, not hurried but still with a sense of urgency. With the soprano sax rising over the solid piano chords then stepping aside for a more powerful bass clarinet statement, the song continues to build all the way through until the opening theme is repeated. What's also apparent from the opening track is that this music is more mature and adventurous that her previous effort. The rhythmic drive of "Wonter Winderland" (yes, that's the title) allows everyone to dig into and enjoy the ride; the powerful piano chords beneath Sinton's solo gives him an added nudge and he responds with a heated solo. Ms. Toren's solo brings to mind Myra Melford throughout, especially her playful interactions with Ms. Gentile's rollicking drums. The Mitchell song was the opening track on her 1968 debut "Song to a Seagull." This version pieces up on the open quality of the composer's chord changes while displaying how melodic her early material was. Ms. Lovell-Smith's tone is so pure here and her solo catching some of the regret of the lyrics and the freedom the composer feels. 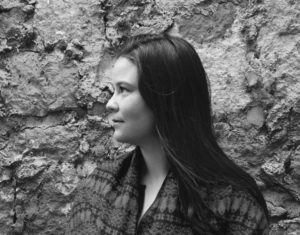 Three of the tracks feature Cuarteto la Matraca, a string quartet based in Morelia, Mexico where Ms. Lovell-Smith and her husband have been residing. They give a feeling of gravitas to the title track, especially the opening interaction of cellist Jesús Gutiérrez with pianist Toren. The soprano sax and bass clarinet read the melody while the strings offer counterpoint. They return on the uptempo "Familia", first offering a touch of pizzicato and coloring under the opening melody, stepping out for the openings of the solos but returning near the close of each and for the reiteration of the thematic material. They also be heard on "Moving Mountains" where their sound is both colorful and percussive. That particular track has a touch of Vince Guaraldi's atmospheric "Cast Your Fate to the Wind", especially at the outset of Ms. Toren's fine solo. The album closes with "Song for May", a loving tribute to a friend. Ms. Lovell-Smith takes her time, first with the expansive melody and, then, with her fine solo. The rhythm section not only is supportive but also creative, especially Ms. Gentile's playing. Notice how the song seems to float when the soprano sax is out front (Sinton sits this track out). Hopkins also takes an excellent melodic solo; he, too, takes his time to create a cohesive statement built off the chords and melody. "Yellow Red Blue" is certainly color-filled music, the deep blues of the several cuts interspersed with the brighter hues of the opening track and the red tones of the setting sun that inhabit the ballads. Much of this music has a quality of late afternoon/early evening when the colors of the day change, seemingly every minute. Jasmine Lovell-Smith gives us beauty at a time when it seems to be most needed; however, music this good is welcome any time. For more information, go to www.jasminelovellsmith.com.